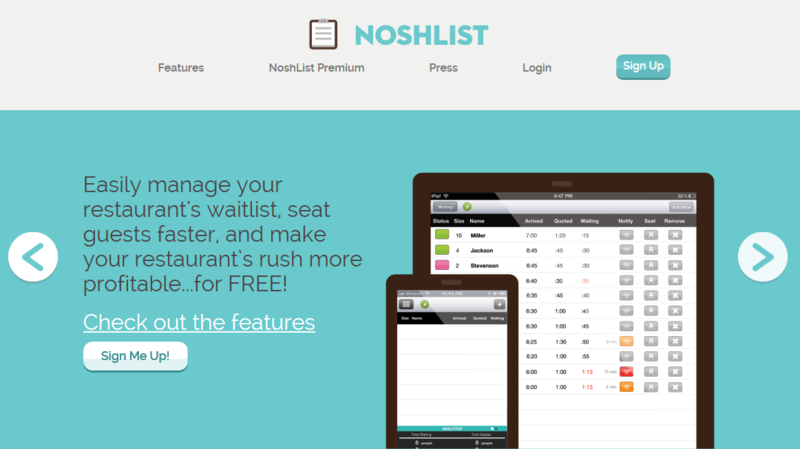 The NoshList wait list app closed out 2013 with more than 22 million diners seated across 5,000 restaurants! This past year was one of tremendous accomplishment for NoshList. From our integration with Clover to the addition of several new features to our app, our focus in 2013 was to provide the best wait list experience for our restaurant clients and their guests. We have exciting plans for 2014 and will continue to raise the bar on wait list functionality. New features added in 2013 included a multi-restaurant management tool, the first of its kind for the restaurant industry, and a public wait list that lets restaurants display their current waitlists to guests. Another technology trend restaurant operators will see this year: using one tablet to run several different restaurant applications. In the long run, operators will stop using multiple devices, such as a POS in the dining room and a tablet wait list by the front door. Instead, everything will be conducted from one general-purpose, POS-based tablet, which will lead to several different apps all accessible from the same place. It has been a great year, and we are shooting to seat nearly 100 million diners in 2014! Tuesday, January 7th, 2014 . 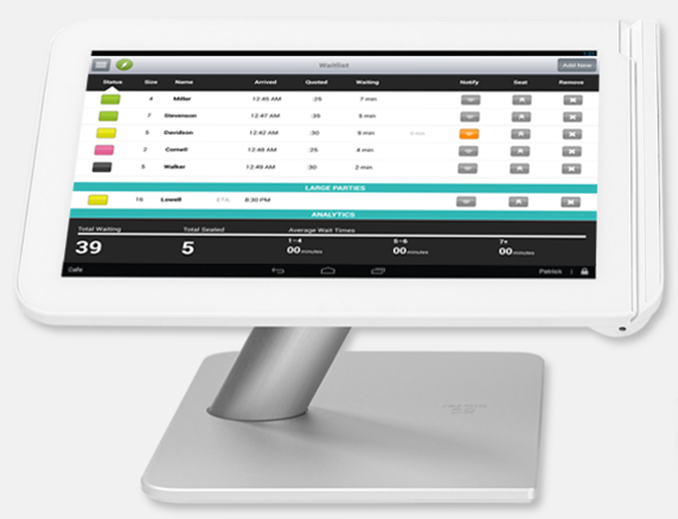 We are excited to announce a new POS integration for our popular wait list app that will allow restaurant operators to better manage their guest experience. Working with Clover, an all-in-one POS solution with an open platform, NoshList is one of the first apps available on the Clover app marketplace. NoshList is exhibiting with Clover and First Data at the International Consumer Electronics Show (CES) in booth #80203. CES takes place Jan. 7-10 in Las Vegas. The NoshList app on Clover makes it simple for any restaurant owner, operator or general manager to manage their wait list and POS all from one place. The app makes getting started with NoshList a snap, and will automatically pull the merchant’s information into NoshList when signing up. More features using other integration touch points are coming soon. Monday, September 30th, 2013 . 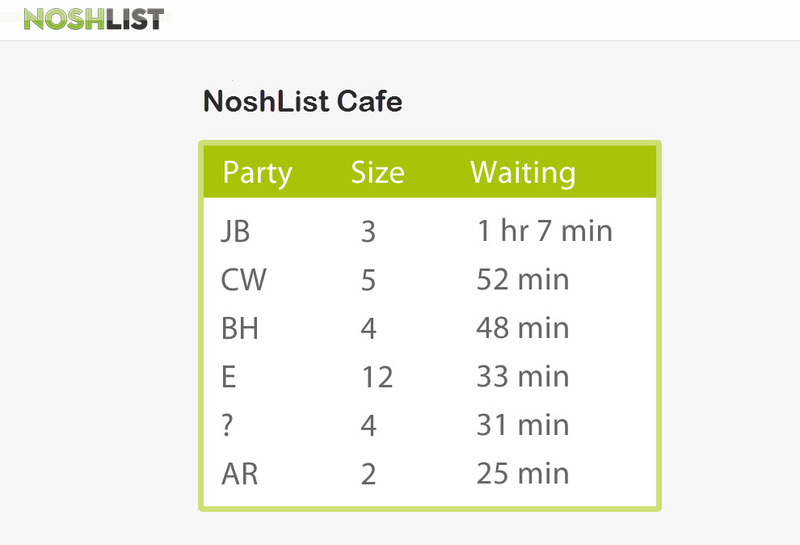 We have been working on a number of new features for NoshList, and one thing we have just released is a whole new look for the WaitList website. It is cleaner, faster and more mobile-friendly, so the pages will adjust to your tablet or phone as well as a computer browser. Friday, April 26th, 2013 . 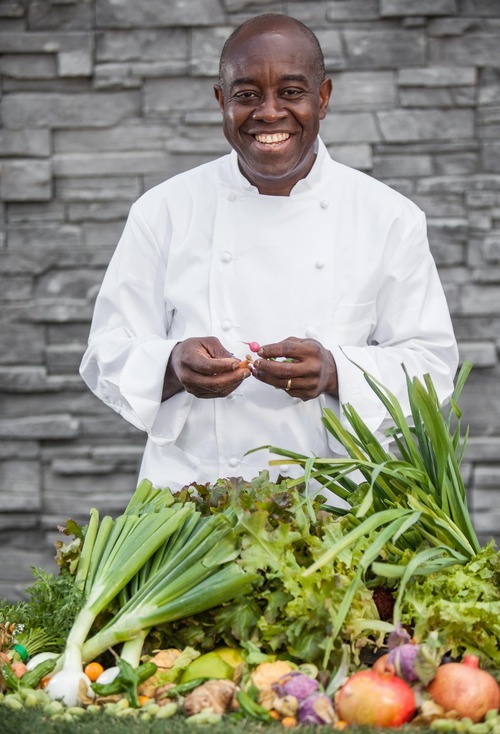 From picking cocoa beans as a young boy on the Ivory Coast to being handpicked to work for Wolfgang Puck at Spago, Francois Kwaku-Dongo’s journey to becoming a world-class chef has nothing if not an air of earthy sophistication. That blend is reflected in his food at eleven14 Kitchen at The JHouse in Greenwich, CT—where he balances direct-from-farm produce and locally raised meats (think grilled chicken with chopped market-vegetable salad) with exquisite presentation and taste (think chocolate in gold leaf with almond dacquoise and nougatine)—and in the way he runs the restaurant. An innate drive, enthusiasm, and delight in their work is matched with a highly developed system for efficiency and superior customer service to surround the top notch chef with a top notch crew. Most importantly, this translates into a phenomenal experience for customers to drive them in the door. It’s great to have demand, but it’s not going to help the chef wow them if people are tired of waiting, either for their food or their tables. So when asked about how his restaurant manages high-demand and high-volume seating, he points to NoshList. Kwaku-Dongo’s blend of sophistication and simplicity has a bit in common with NoshList. He believes less complicate equals less problems. If you can deliver that from the moment the customer walk into the door, then you are on your way to stellar reviews and growth. More importantly, you have one less headache to worry about.